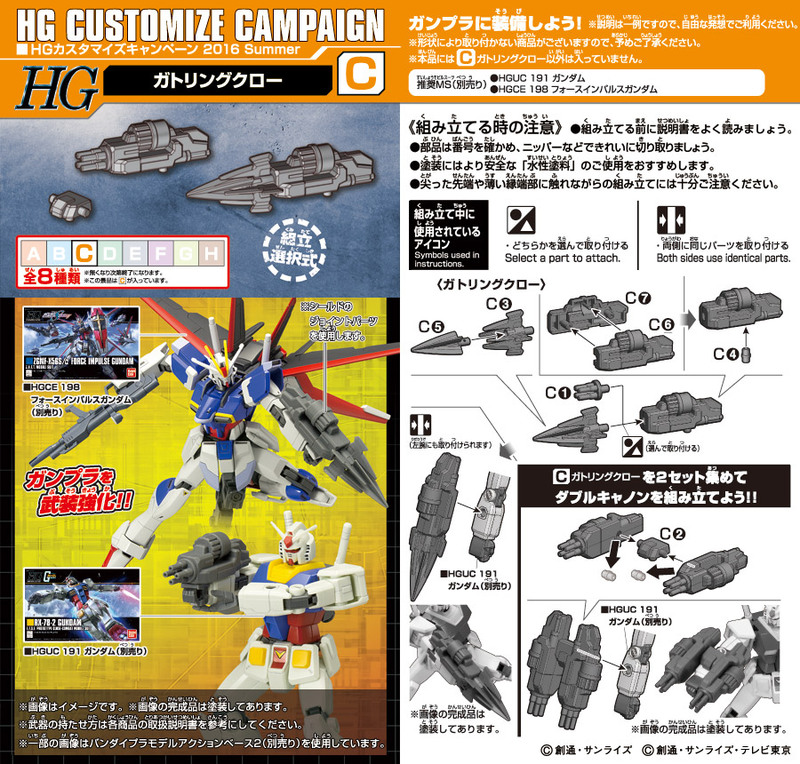 To celebrate NEW release of MG ZZ Gundam Ver.Ka , Bandai celebrate with giving away PREMIUM Decal. But HURRY!!! LIMITEDStock available. Highly recommend to PRE-ORDER NOW!! before sell out. 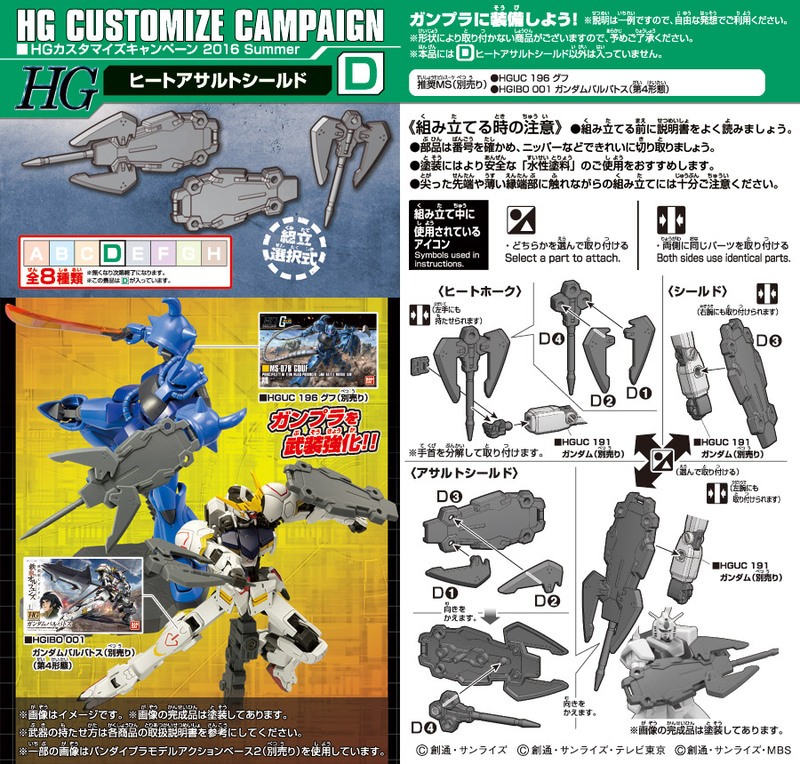 Free Gunpla Customize Campaign with Gunpla Club! 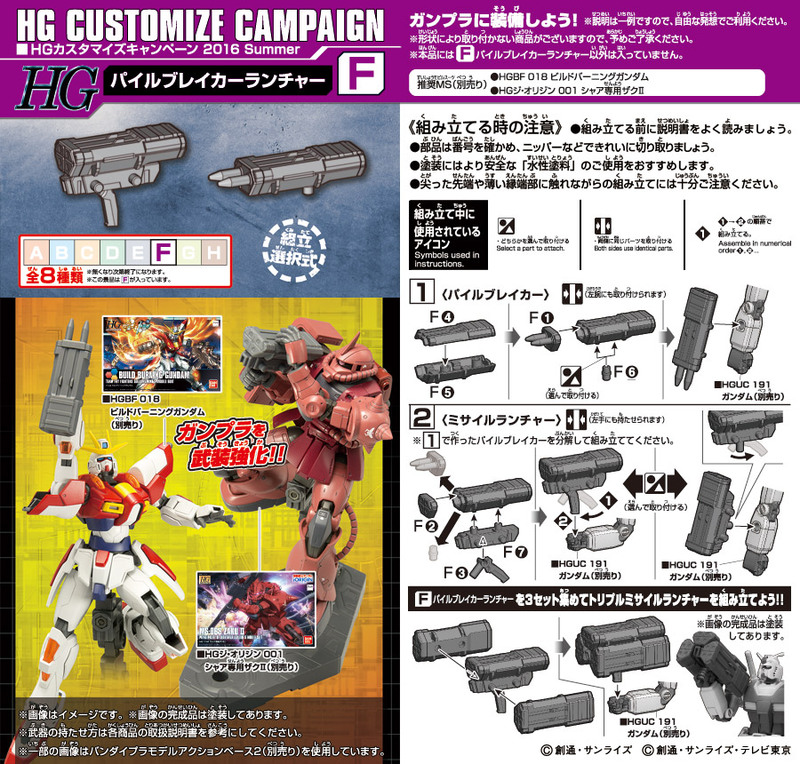 Buy any Bandai Gundam Plastic Model Kits (exclude Action Base and Builder’s Parts) & Listen to Gunpla Club and receive Free Limited Edtion Gundam Weapon Parts! So check out Gunpla Club now! Campaign Period: JST 0:01am 23rd Jan to JST 11:59PM 31st Jan or when stock run out! 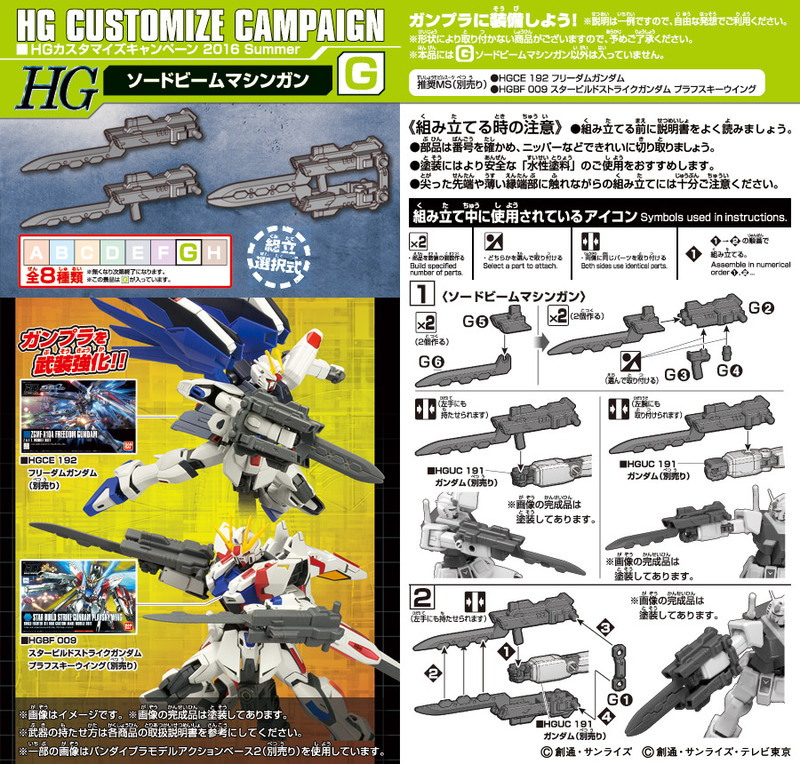 Eg: if you buy x4 gunplas, you will receive x4 Limited Edition Gundam Weapon Parts!! You cannot choose the parts. We only have limited qtty, so don’t miss this opportuntiy! Get in QUICK! 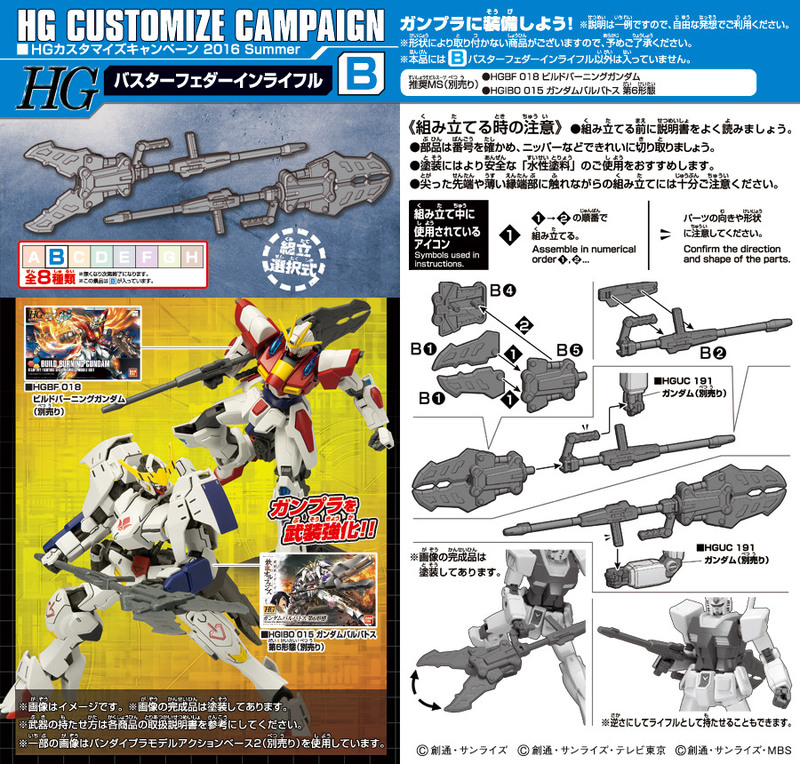 Bandai Gunpla Customize Campaign No.2! Campaign Period: JST 6am Mon 22nd Aug to JST 8am Wed 31st August or when stock run out! 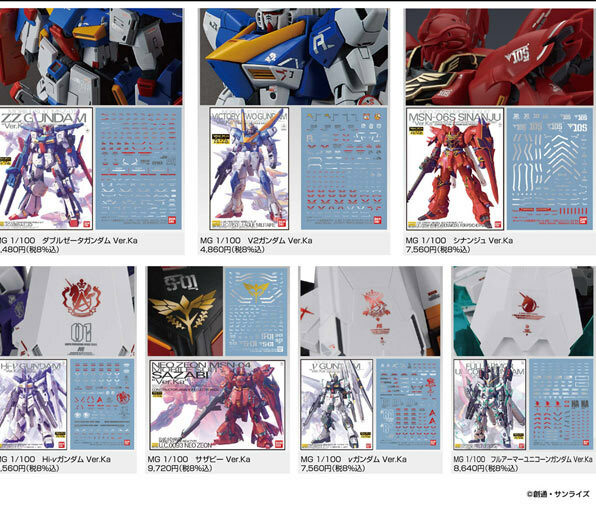 You will receive x1 limited edition parts per Gunpla purchse. Please note, when we run out the parts, we will close the campaign without any notification. Buy any Bandai Gundam Plastic Model Kits (exclude Action Base and Builder’s Parts) and receive Free Limited Edtion Gundam Weapon Parts! Campaign Period: JST 1PM Sat 30th July to JST 1PM Tuesday 9th August or when stock run out!